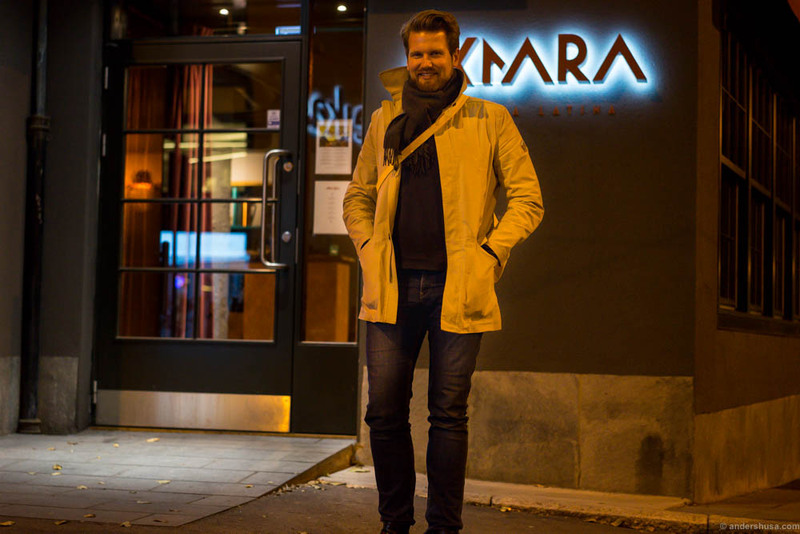 A wave of hype was the term used by news media to describe the arrival of Peruvian restaurants in Oslo about a year ago. 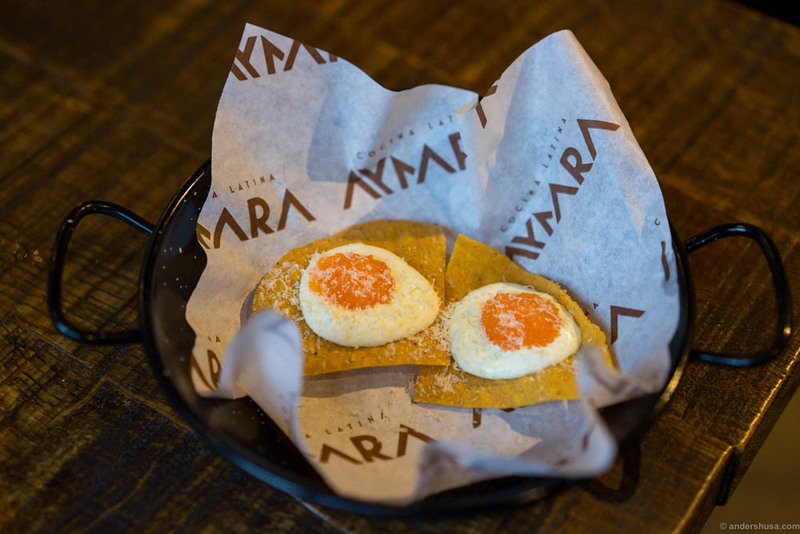 Hype or no hype, the fact remains that Aymara keeps pushing out great dishes from their kitchen. Better now than ever before, I would argue. My last visit here was for a special Nikkei evening. This time I brought my good friend Elisabeth, and we tested almost the entire menu along with a few cocktails. Once again it is worth mentioning that Aymara is in fact not a dedicated Peruvian restaurant, but a complete Latin American kitchen. The food represents Peru, Chile, Argentina, and Bolivia. The chefs use a mix of ingredients and dishes from all of these countries, and the style range from traditional to street food and fine dining. On top of that, they mix in a Nordic touch, with local producers and a type of presentation that is recognizable in Scandinavian restaurants. We started with cocktails & cancha. Cancha is a Peruvian snack made on deep-fried corn kernels. We had the pisco sour to the right. To the left is La Muchaca; made with cachaça and mora berries. We started with cocktails and snack in the lounge area as you enter. The atmosphere in Aymara is very relaxed and pleasant. Recessed lighting, dark wooden interior and soft music over the speakers. A color palette with consistently brown, blue and yellow. 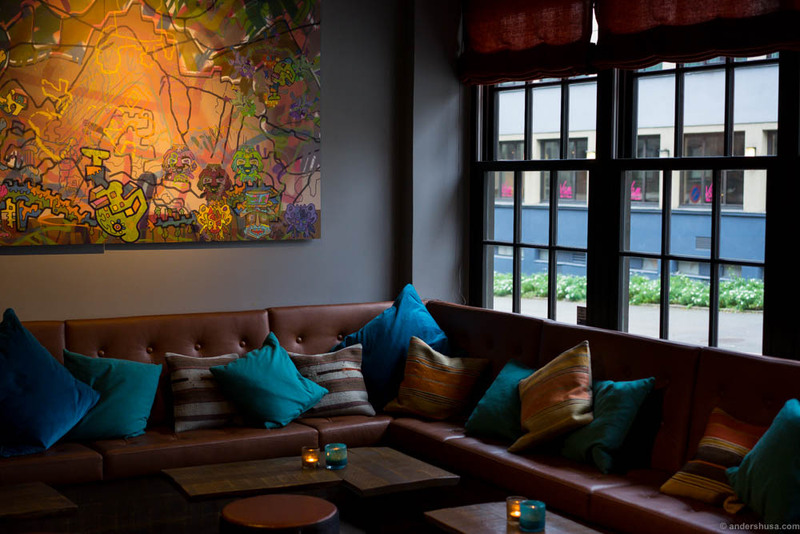 On the walls, you find stunning art pieces by the artist Chris Reddy, better known as Reddymade. I love paintings where you discover more and more details the further you study it. The combo of cocktails & cancha will make you forget the cold Norwegian autumn, soon to be winter, raging outside. Elisabeth enjoyed the drink with moraberry, which is kind of an Amazonian blackberry. Check her awesome outfit! Housemade tortilla chips with a smoked sour cream, “löjrom” and shavings of six month old, dried halibut. A very interesting and tasty small snack. 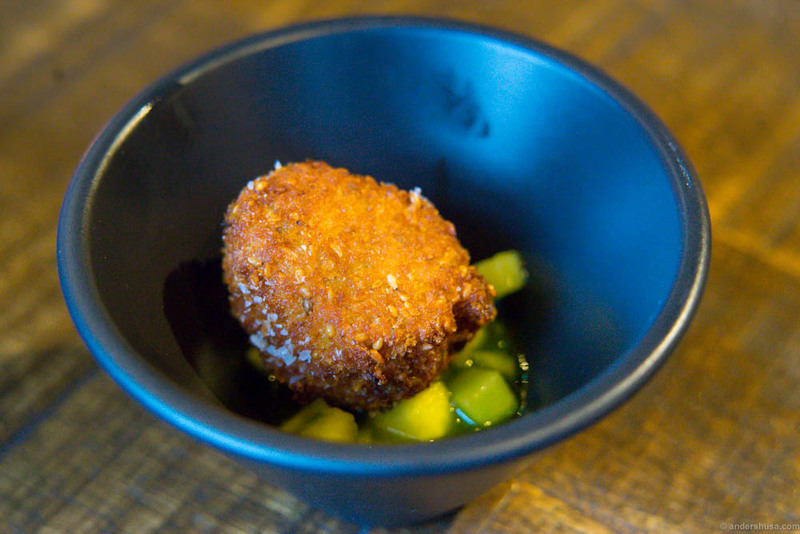 Bolinhos de bacalhau, croquettes on salted cod and with the Aymara twist of sweet potato and amarillo. Perfectly balanced with an acidic apple salsa. Damn this was good! It is inspiring to see that so many places in Oslo focus on high-quality cocktails these days. 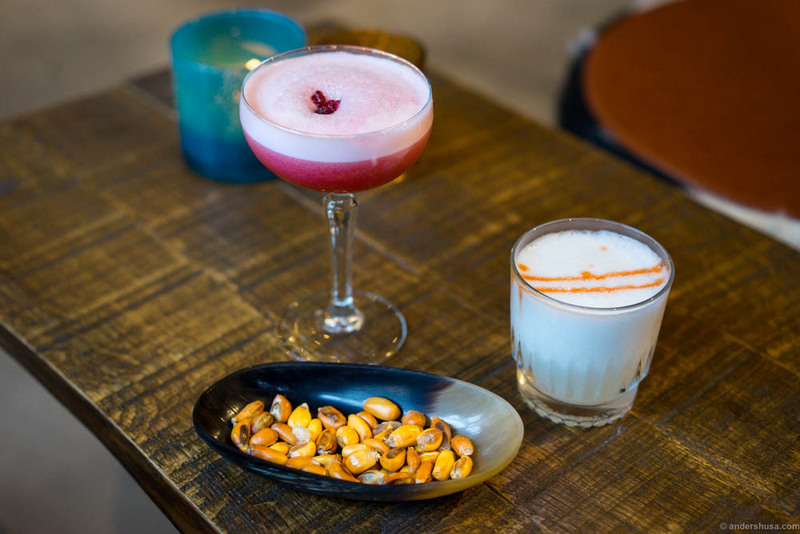 Aymara has some classic cocktails on the menu, with pisco sour being an obvious choice of course. They also develop their own variations, where they make sure to utilize other known and less known South American spirits and ingredients. Cachaça, like rum, is made from the juice of sugarcanes and is a cheap liquor that needs a good amount of sugar and lime in the mix. The La Muchaca cocktail we had was a great example, and we were even introduced to the moraberry which none of us had tried before. Tiradito «Coreano» . Halibut, kimchi, mango, chili, toasted sesame seeds, pomegranate & wasabi mayo. The best dish of the evening! 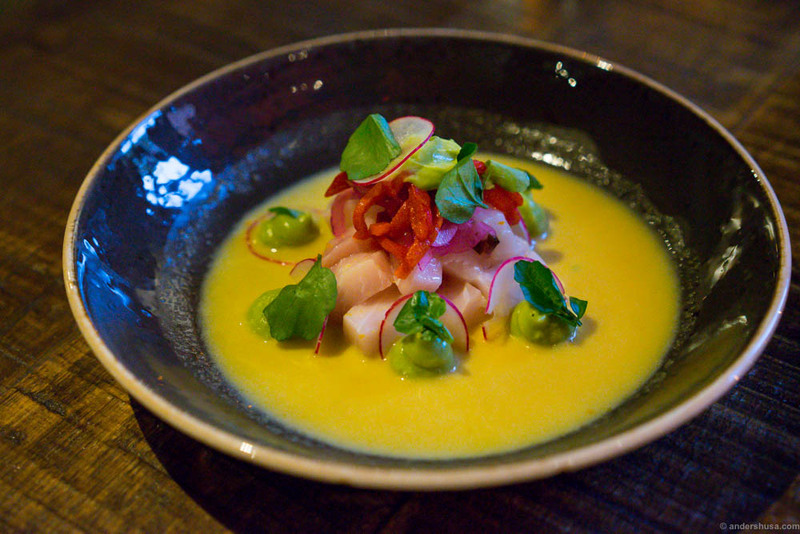 Ceviche «Palta Reina». Swordfish, aji amarillo leche de tigre, avokado cream, piquillo pepper. This was probably the least favorite serving, because the meat was very “fishy” in flavor and cut in rather thick pieces, which made it less delicate. 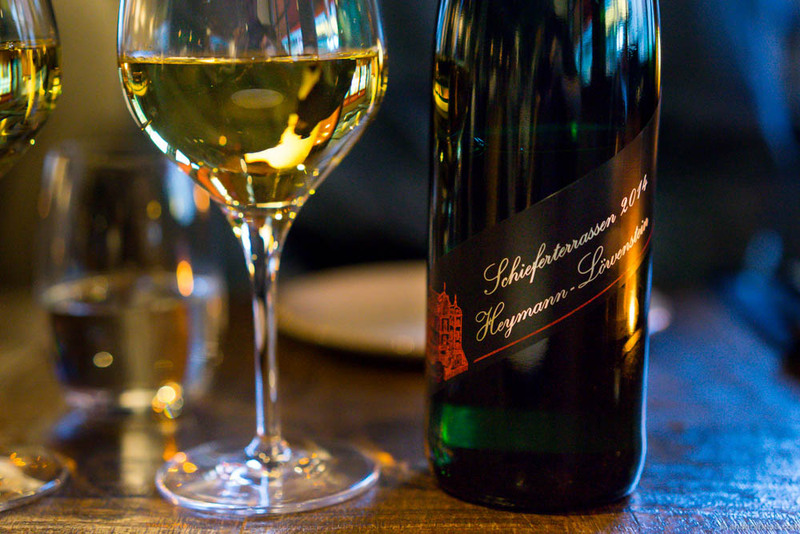 2014 Weingut Heymann-Löwenstein Riesling Schieferterrassen. A most wonderful riesling with a balanced sweetness and acidity. Crisp and round with citrus and tropical fruit flavors. 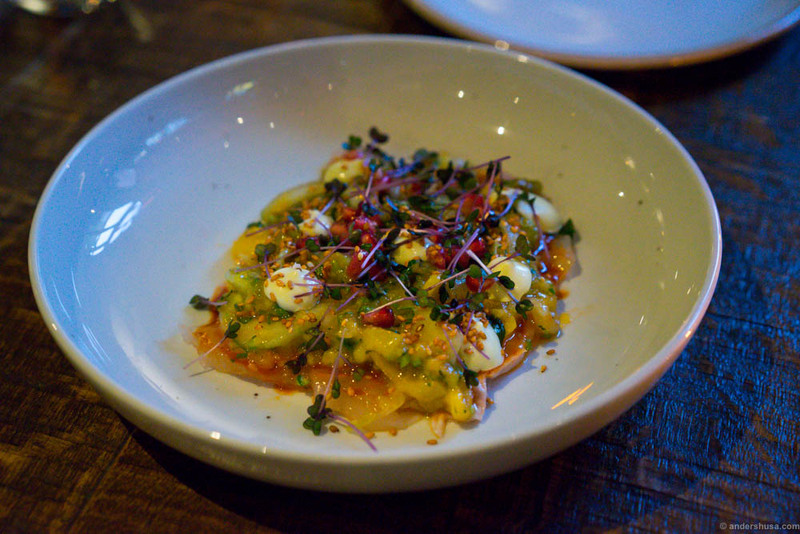 A great pairing to the spicy ceviche dishes. We arrived at 17.00 hours to get good lighting for photos, but this would turn out to be a long evening with numerous servings. Already by the time we got to the starters I was out of battery on my phone, which I used to make a Snapchat story of the meal. If you follow andershusa on Snapchat you can check my future dining experiences as they are streamed live (Update: I no longer use Snapchat. You can instead follow my Instagram stories). Thankfully, I had brought my Rescue Juice mobile charger, which has become an essential companion on all my food adventures. It can also charge my Sony A7 II photo camera. Papa ala Bosque. 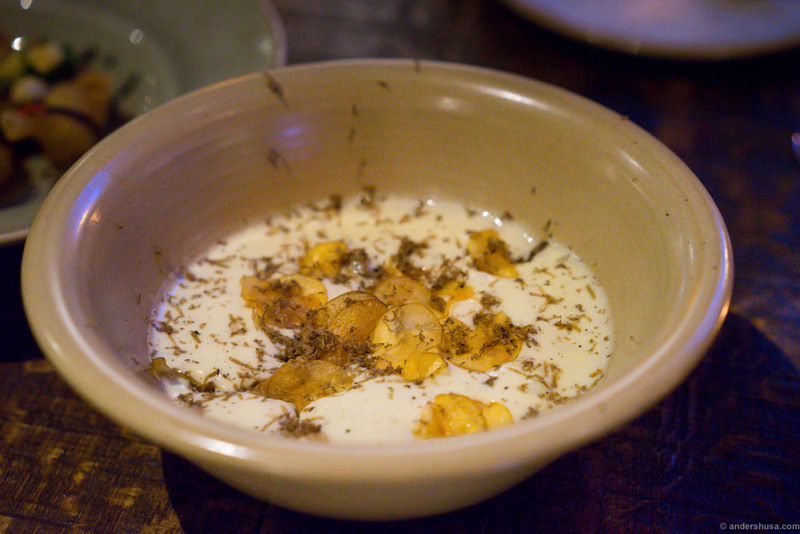 Almond potato spuma, truffles, mushrooms, grilled spring onions and smoked aji panca almonds. A favorite as well; so rich in flavor and deliciously contrasting textures. 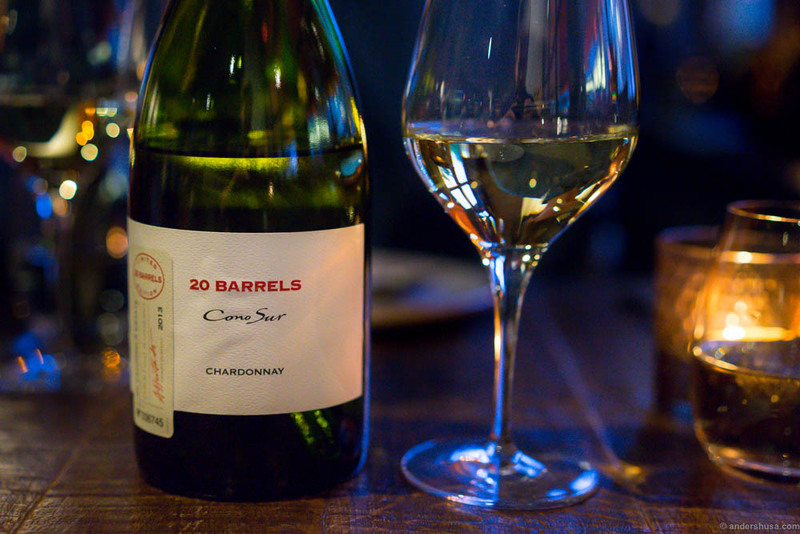 20 Barrels Cono Sur Chardonnay. Smoked, oaky aroma and a buttery fat and rich mouthfeel, yet fresh with a nice acidity. The best wine of the night, and a great pairing for the truffle and potato dish. Camarones chifa-chifa. Deep-fried Argentinian shrimps, sichuanpepper-glaze, carrots, pineapple and sweet and sour sauce. Yummy! 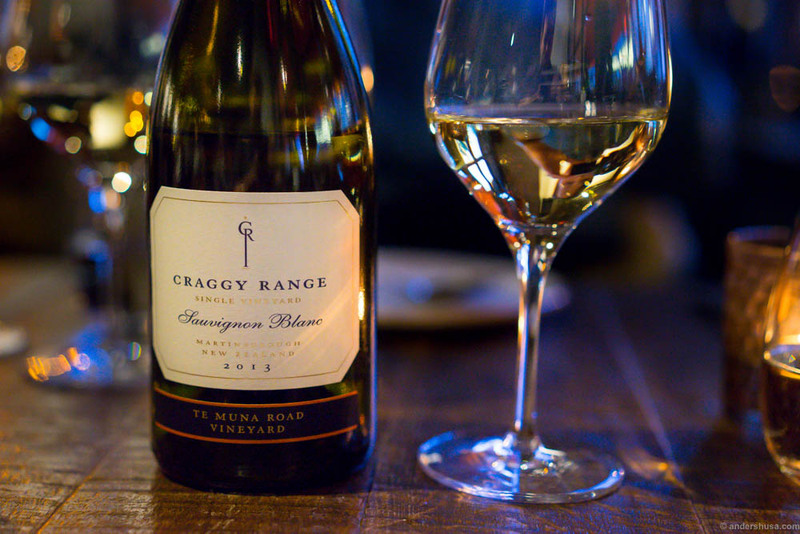 Craggy Range, Te Muna, Sauvignon Blanc 2013. Sweet candy aroma, and a soft pineapple taste. Matched the deep-fried shrimps. The owner, Rodrigo Belda, and his head chef Kim Daniel Mikalsen had planned a tremendous meal for us this Wednesday night. 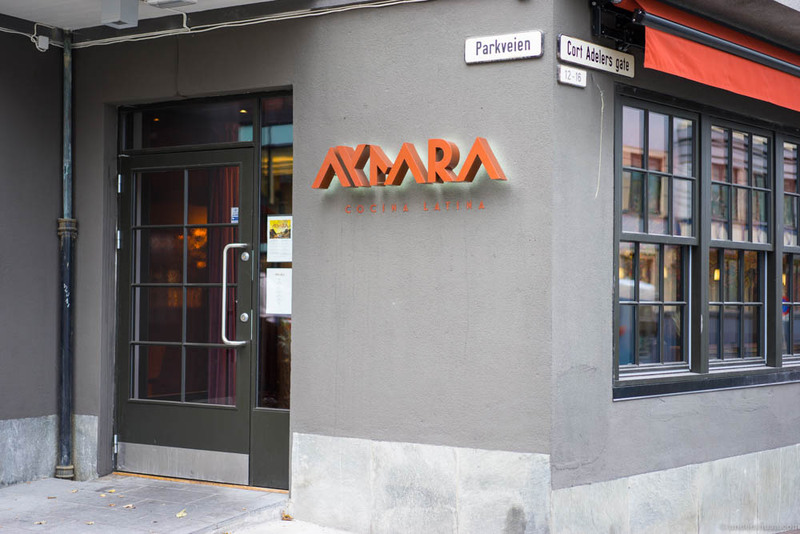 I am happy to see that Aymara is doing so well, with a decent amount of guests in the middle of the week. It is also fun to see the variety of clientele, ranging from young Latin Americans who want to rediscover the flavors of their home countries to elderly Norwegians who find these strange smells and tastes alluring. 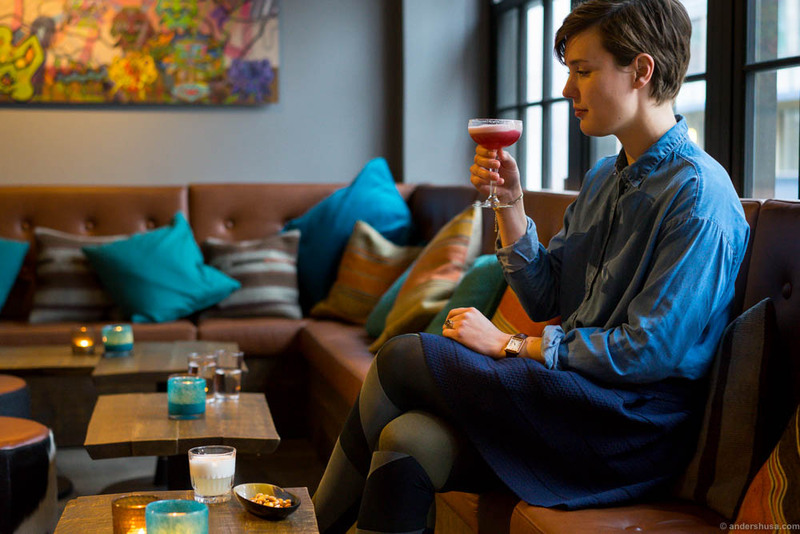 Aymara is a place to return to, and a restaurant I will keep visiting for new exciting drinks and dishes. Pescado Y Sopa Nikkei. Halibut poached in milk with garlic for 4 hours. 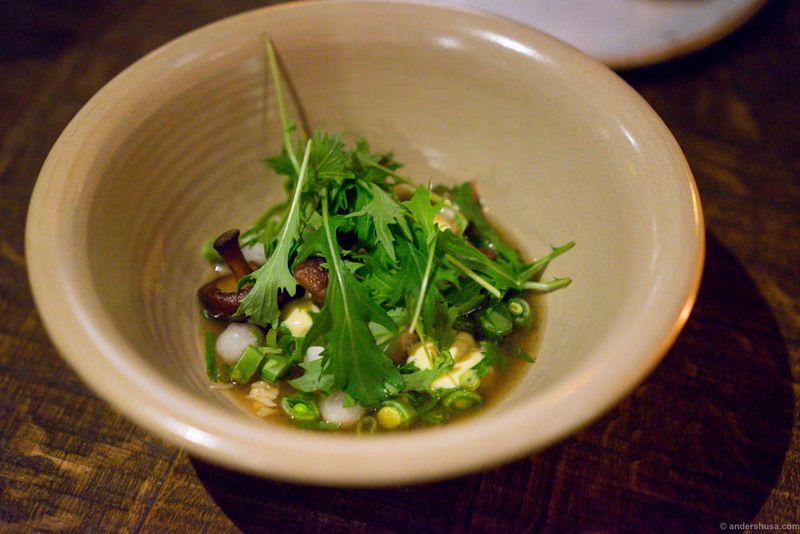 Pickled shimenji mushrooms, mussel dashi, silken tofu and sugar snaps. 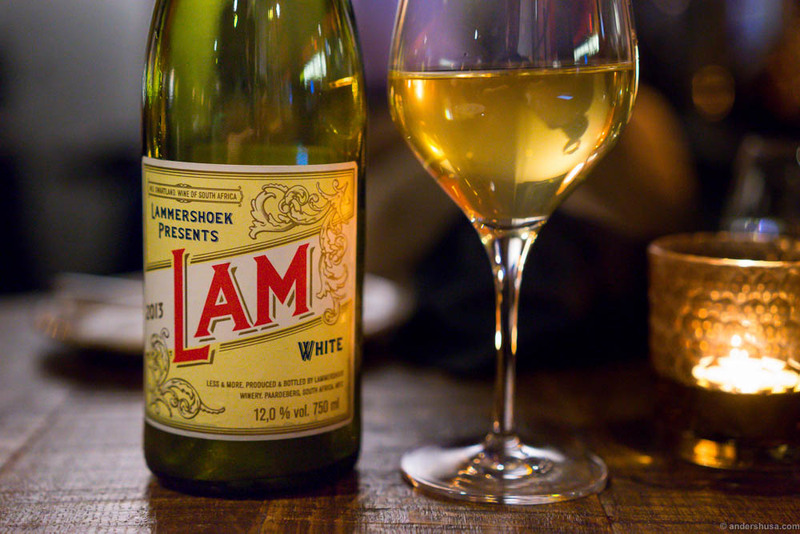 Lammershoek LAM White. A great label! Like an old circus poster. A bio dynamic wine. Quite minerally, fresh, and a slight bitterness. Aroma of apple and apricots. Pato con Mole. 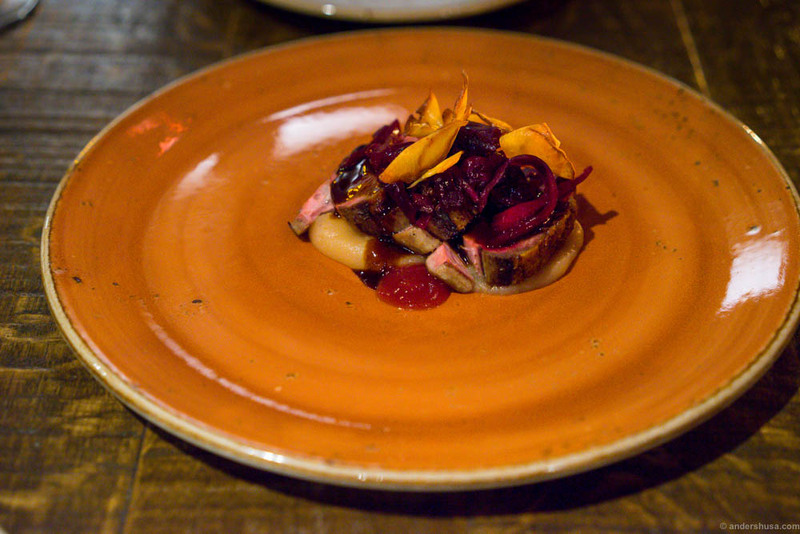 Breast of duck, raw marinated redbeets, aji panca mole, prickly pear and a curtido on red cabbage. 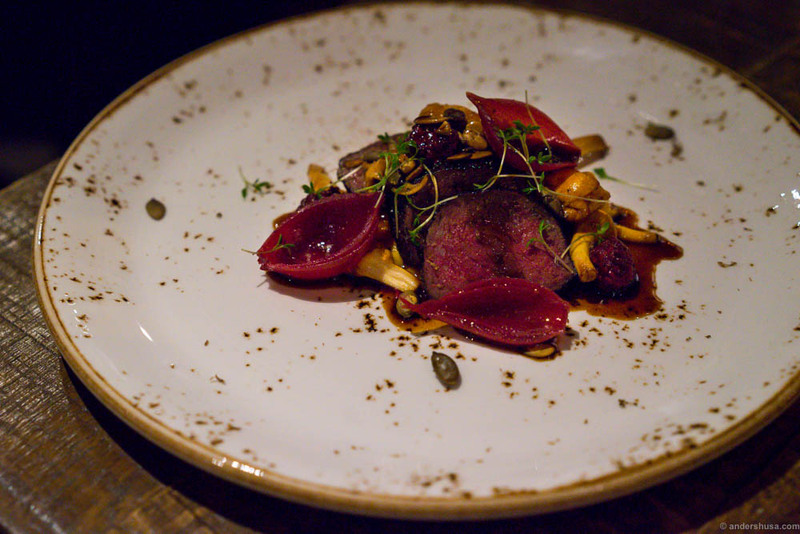 This dish faded compared to the reindeer serving. Too many sweet elements an too little contrasts. 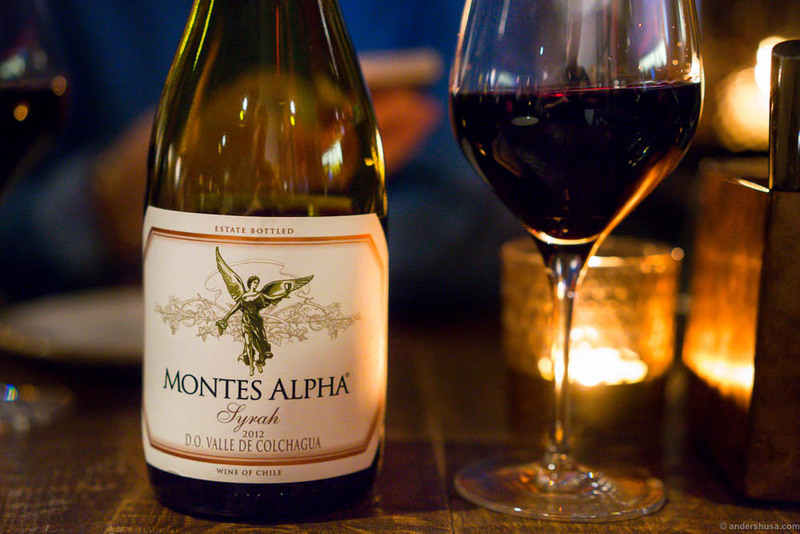 Montes Alpha, Syrah 2012 from Valle de Colchagua in Chile. A rich red wine, yet easy to drink. Manzana Nikkei. 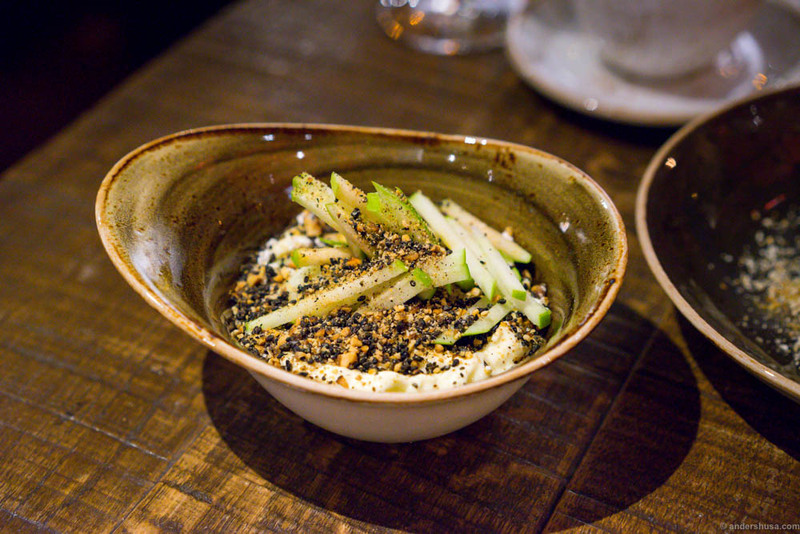 A yuzu crema agria, apple sorbet, peanut and sesame seeds croquant and raw, shredded apple. Choco Y Maize. 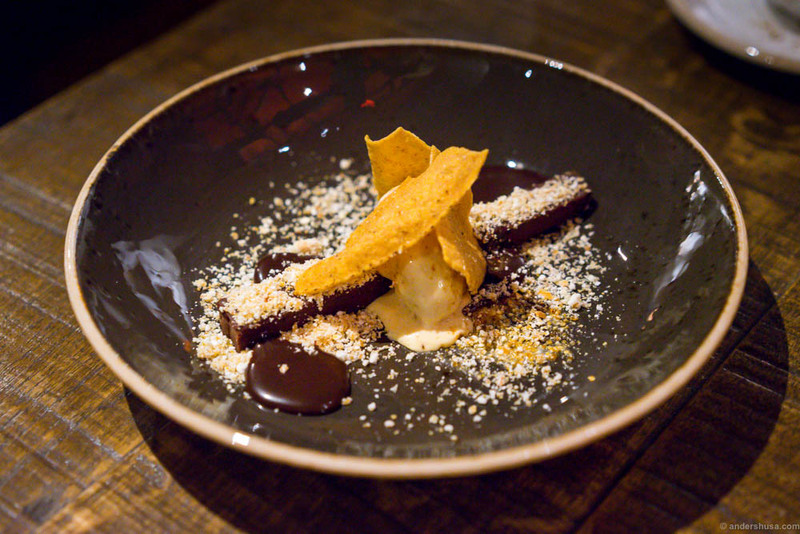 Peruvian chocolate from Valrhona, corn and browned butter ice cream, fried tortilla chips, chocolate dulche de leche and popcorn powder. 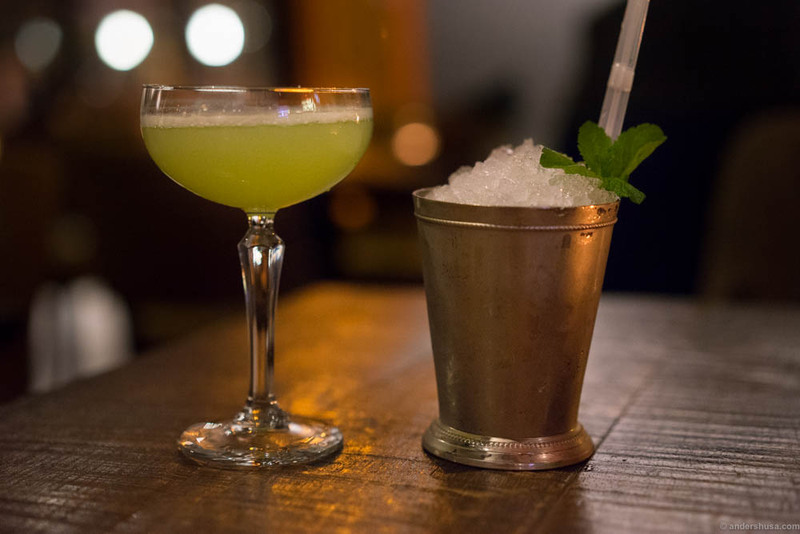 La cura on the left with apple, gin and basil. El Gringo on the right with yogurt, spruce shoots infused vodka and amaretto. Have you found your way to Aymara yet? 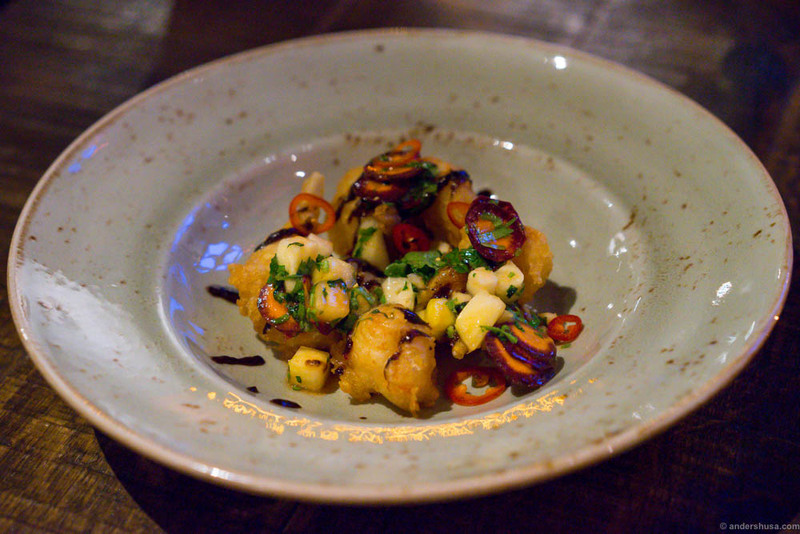 How did the Latin American flavors appeal to you? Please leave a comment below. This was a sponsored invitation by Concept Restaurants. The restaurant had no influence on the content of this article, there is no form of cooperation between us, I was not obliged to publish anything, and I received no monetary payment.